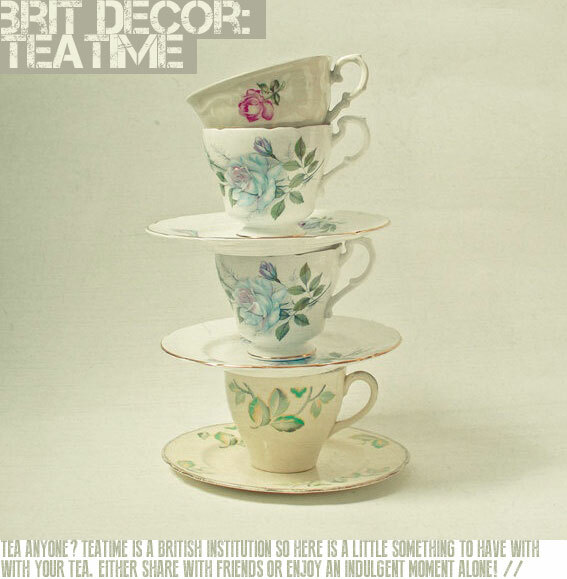 It is true, we Brits really do love our teatime! Like many others, my tea break is a tradition which I grew up with and it is now part of my every day life. I have very fond memories of morning tea or 'elevensies' as we called it, with my Gran and even my Great Gran. Together we would walk to the local bakery and pick out some lovely cakes to take home and indulge with a pot of tea. I would love to hear about your tea breaks and traditions! 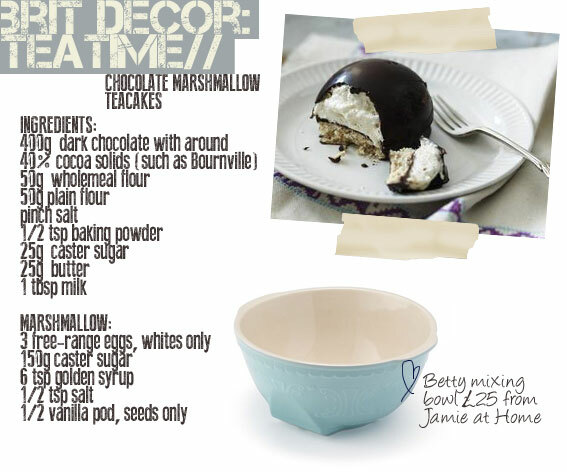 Below is a recipe for chocolate marshmallow teacakes by Paul Hollywood, from the fantastic BBC Food website - a great resource for delicious recipes. Melt 300g/10½oz of the dark chocolate in a bowl set over a simmering pan of water (make sure the bottom of the bowl does not touch the water). Melting the chocolate over a soft heat stops the chocolate from discolouring later on. Leave aside to cool slightly - you can’t line the moulds if the chocolate is too runny. To make the biscuits, put the flours, salt, baking powder and caster sugar into a bowl and rub in the butter with your fingertips. Add the milk and stir everything together to form a smooth ball. On a floured surface roll out the dough to about 5mm/¼in thick. Cut out six rounds with a 7.5cm/3in straight sided round cutter. Place the rounds on a flat plate or board and chill in the fridge for 10 minutes. Make sure the biscuits are perfectly round and well chilled, otherwise they might spread or shrink when baked. Bake the biscuits for 10-12 minutes. They do need to be hard, not soft as they form the base of the teacake. Coat the inside of the moulds with the melted chocolate. The thickness of the chocolate should be enough to make them sturdy but not too thick. This is best done with a spoon, using the back to run the chocolate around the moulds. If the chocolate is too runny it will mean that the top of the dome is too thick and the side too thin. Set aside to set. Do not put the domes in the fridge as the chocolate will lose its shine. Meanwhile dip the cooled biscuits in the remaining melted chocolate, covering them completely (you may need to melt more chocolate). You can either dip the biscuits in the chocolate or spread the chocolate onto the biscuits with a palette knife. Place the coated biscuits onto parchment paper. For the marshmallow, place all of the ingredients in a large bowl set over a pan of simmering water (make sure the bottom of the bowl does not touch the water), and whisk with an electric hand whisk for 6-8 minutes, making sure it is smooth, silky and doubled in volume. Make sure it is very stiff, the consistency of whipped cream, so it will hold when piped - you don’t want it runny. Spoon the marshmallow mixture into a piping bag. Melt the remaining chocolate, and place into a disposable piping bag with a sealed end. Set aside to cool and stiffen up a bit, but not harden. Peel the biscuits off the parchment and place them onto clean parchment, flat side down. Pipe the marshmallow into each chocolate-lined mould just up to the top. Snip a 2cm/¾in end off the piping bag with the chocolate in it. Carefully pipe some chocolate on the marshmallow and a rim of chocolate around the biscuit base and swiftly place the biscuit on top of the marshmallow filled dome. Smooth the join with a knife. Leave the teacakes to set until completely cool and sealed together. Very carefully remove the completed teacakes from the mould – be careful of fingerprints on the glossy dome. Place on a plate and keep cool – but do not refrigerate, to make sure the chocolate keeps its glossy shine.